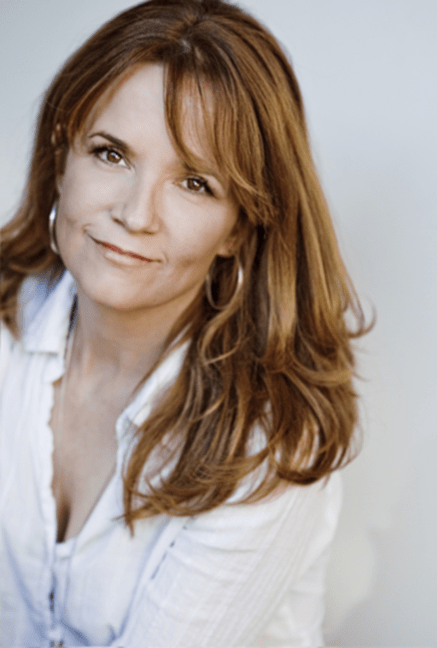 Production began this week in Vancouver on UP’s Television Premiere My Mother’s Future Husband, starring Lea Thompson (Back to the Future, “Caroline in the City”) and Matreya Fedor (“Cedar Cove,” “Mr. Young”). The film is produced by Legacy Filmworks Ltd. and directed by George Erschbarner (“A Trusted Man”), who also directed Thompson in 2008’s “The Christmas Clause.” Julie Brazier (“My Name is Sarah”) wrote the script. My Mother’s Future Husband will make its world television premiere on UP in 2014. The ensemble cast also includes Sebastian Spence (“Battlestar Galactica: Blood & Chrome”), Gig Morton (“Mr. Young,” “Christmas Town”), Burkely Duffield (“House of Anubis,” “Supernatural”) and Everick Golding (Scooby Doo 2: Monsters Unleashed, “Human Target”). A mother and widow of five years, Rene Anderson (Lea Thompson) has thrown herself into running her cozy bistro with friend, cook and co-owner Lou (Everick Golding) and wrapped her entire social life around being her 15-year old daughter Headly’s (Matreya Fedor) BFF. While Headly still grieves the loss of her dad, she’s also discovering boys – specifically Bodie Miller (Burkely Duffield), the handsome jock who recently returned to town – and songwriting. Determined to get out of fancy dinners and zumba lessons with mom, Headly sets some secret romantic goals for them both – help Rene find love and get her own first meaningful kiss – before summer arrives. With her astronomy-obsessed best friend Willis (Gig Morton), Headly concocts a variety of schemes to find her mother’s “future husband,” from interviews in the park for “a Social Studies project” to creating an online profile and video link of Rene talking about herself and looking very pretty. After successfully maneuvering several nice guys into the bistro, sparks seem to fly with windowed dad Andrew (Sebastian Spence), but a misunderstanding threatens to derail Headly’s plans. Meanwhile, Headly discovers dating is more challenging than expected. With summer looming, Rene and Headly ultimately find that they must first deal with the past in order to open their hearts to the romantic possibilities in front of them. UP presents a Legacy Filmworks Ltd. production. My Mother’s Future Husband stars Lea Thompson, Matreya Fedor, Sebastian Spence, Gig Morton, Burkely Duffield and Everick Golding. Directed by George Erschbamer. Produced by by Deboragh Gabler. Casting by Judy Lee. Director of Photography is Cliff Hokanson. Editor is Mauri Bernstein. Composer is Peter Allen. Script by Julie Brazier. For photos and more information, please visit: UPtv.com/MyMothersFutureHusbandPressRoom. UP, based in Atlanta, is America’s favorite network for uplifting family entertainment. The network presents original and acquired movies, series, stage plays and music specials along with gMovies, the first faith-friendly streaming movie service. The UP brand is reflected in “Uplift Someone,” the network’s successful pro-social initiative. UP can be seen in more than 61 million homes on major cable systems including Comcast, Time Warner Cable, Cox Communications and Charter Communications, as well as DIRECTV on channel 338, DISH Network on channel 188, and Verizon FiOS on channel 224. Follow UP on Facebook & Twitter facebook.com/UPtv & @UPtv. With offices in Vancouver and Los Angeles, Deboragh Gabler founded Legacy Filmworks Ltd. to create critically-acclaimed, financially successful movies for the international marketplace. Legacy is one of the most respected film production and distribution companies in Canada, with over 60 theatrical features, TV movies and series to its credit, including Bang, Bang, You’re Dead (Emmy, Peabody Award), My Name is Sarah (Prism Award), Miracle of the Cards (Epiphany Award) and Haunted (DGA award, Movie Guide Award). This entry was posted in My Mother’s Future Husband and tagged America, Atlanta, Back to the Future, Barbara Fisher, Burkely Duffield, Caroline in the City, Charter Communications, Cliff Hokanson, Cox Communications, Deboragh Gabler, DISH, Everick Golding, Facebook, film, Gig Morton, Judy Lee, Legacy Filmworks, Lesley Diana, Los Angeles, Mauri Bernstein, Monsters Unleashed, My Mother’s Future Husband, network, photography, PR firm, production, Scooby Doo 2, Sebastian Spence, The Promotion People, Time Warner Cable, TV, Twitter, UP, Vancouver on August 23, 2013 by press.